I'm just missing home so much. And fortunately I just noticed that I haven't post the last lunch with the brother and the boy before I came back to Sydney. 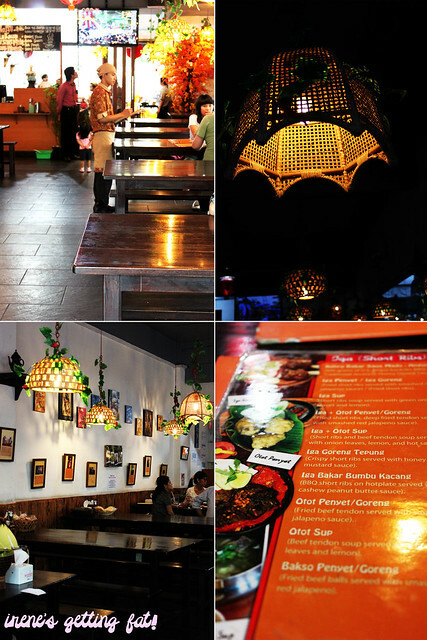 Warung Tekko is one of the most well-known ribs restaurants which me and my family have visited lots of time. 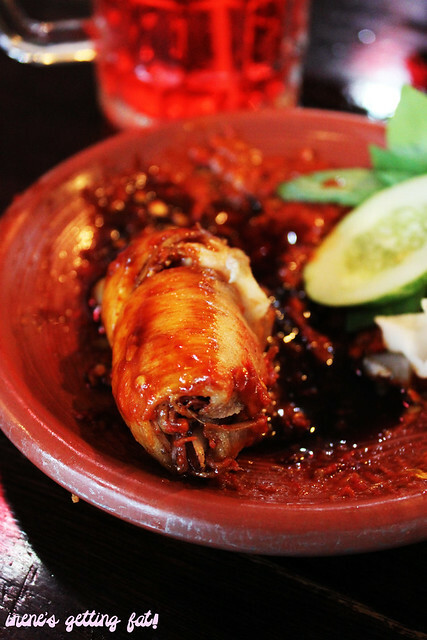 They have quite a rivalry with Warung Lekko, which is said to be the result of the separation of co-owners or something like that. 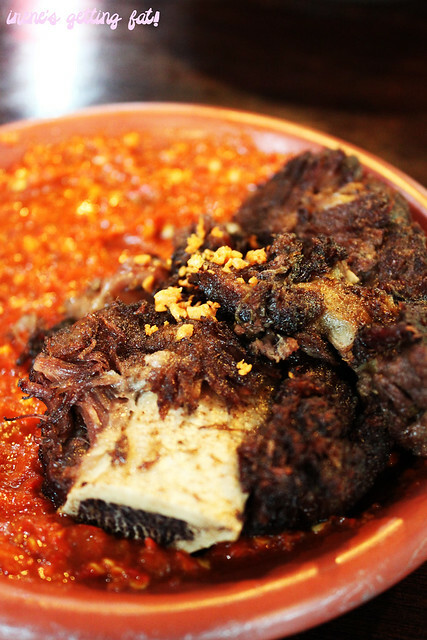 Since then many have compare the two of them, as they both share the exact specialty which is fried short ribs. When I first tried the place, it was at the franchise in Pantai Indah Kapuk. They have opened another franchise in Taman Palem, which is very convinient for me and the family to grab some delicious lunch. 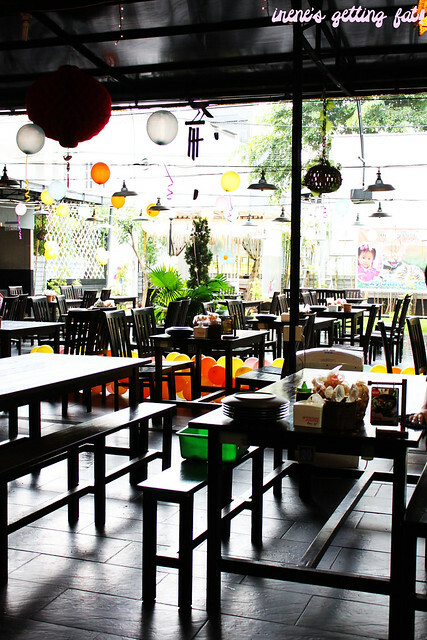 The place is spacious, they have both indoor and outdoor dining areas. Maybe they are trying to create a 'natural' vibe with those wooden tables and chairs and artificial leaves, but they actually look quite pretty. The place is clean, and the walls are full of framed celebrities testimonials. The outdoor dining area is often reserved for parties, but when it's breezy and not that hot we often choose to have our meal there. 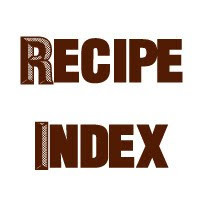 The menu is Indonesian-based, specializing in fried proteins (eg. 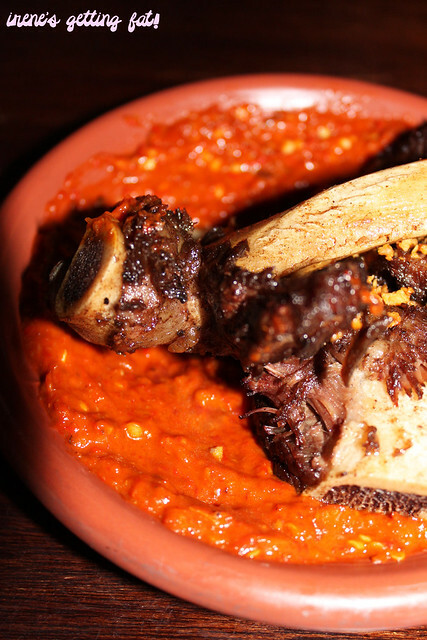 short ribs, chicken, tendons, etc) served with homemade sambal (chilli sauce) whose heat level can be chosen by the customers. My favourite drink here is the es sirup (ice syrup) which is self-explanatory. It comes in a huge glass, I often struggle to finish the whole glass by myself. 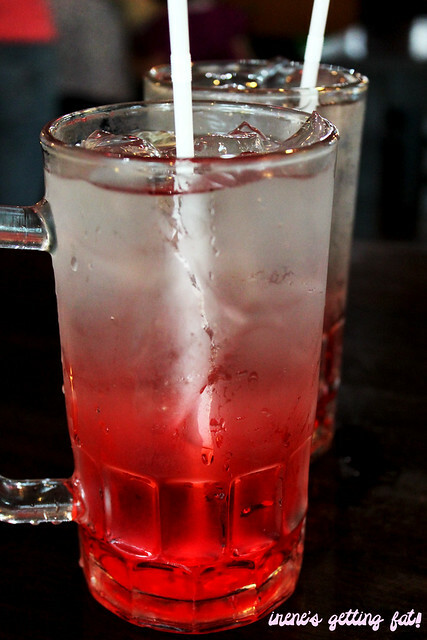 They make a perfect ratio of the syrup and the water so it becomes simple, sweet and refreshing drink. It is true when I say that this is the place where I had the last lunch in restaurant with the brother. He's never been an adventurous kid so he got the the packet/set. The set includes fried chicken, fried squid, fried tofu & tempe, with steamed rice. The chicken is quite small but it has good marinade, and as always the sambal is really good although he ordered the mild level. The fried squid that comes with the packet is quite rubbery, but it still has lovely crunchiness on the outside. My lunch has to be the iga penyet (fried short ribs). Really, I think ribs are one of the best cut you can consume from a cow or a pig or a lamb. Delicious. Tekko's short ribs are fried to create the crisp sensation, and the flesh is coming off the bone easily. 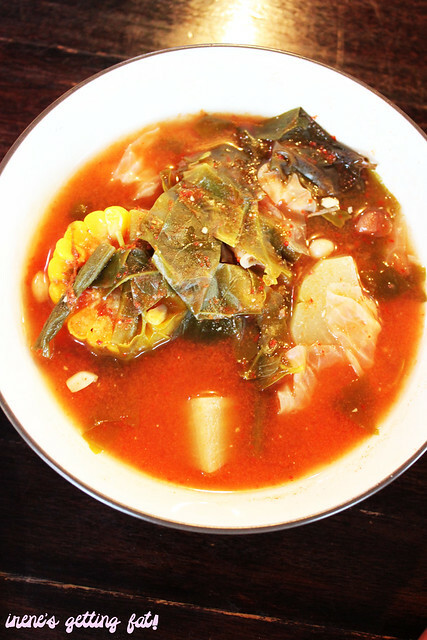 There are still some layers of fat there, which comes in perfect portion so it doesn't induce any fat-sickness. I remember that when I first tried the sambal I was being a snob and ordered a 'really hot' one. And man did it burn my tongue. Since then I've been playing safe with the 'hot' level. It's spicy enough for me, and the sambal has great flavour. Love the sprinkles of the fried garlic atop, as well. We also ordered some vegetables just to make everything healthier. 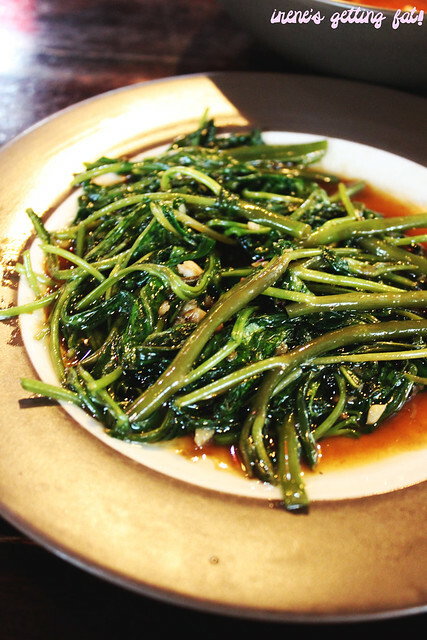 Both of the cah kangkung (stir fried kangkung/water spinach) and sayur asem (Indo style sour veggies soup) are good and seasoned well, but they aren't the highlight of the meal. The last visit with Roo involved pretty much the same food. Ice syrup for both of us, and the packet as well. 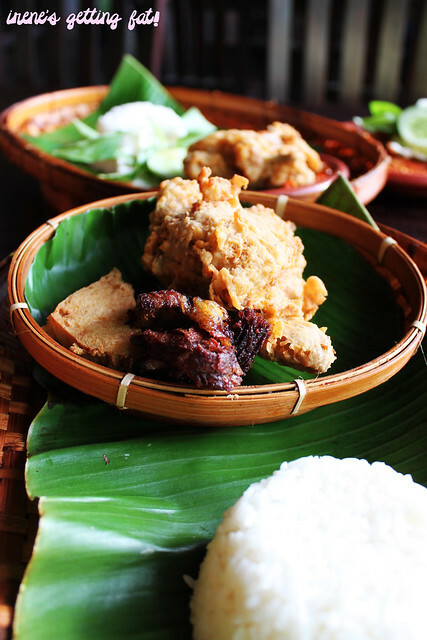 This time I tried the packet which is consisting of fried chicken, fried short ribs, fried tofu & tempe, with steamed rice. But instead of the normal, spiced fried chicken, we tried for the battered ones. To be honest, I prefer the original one without the batter. The normal one has more intense spice flavour than these crunchier ones. So yeah, Tekko's fried short ribs are probably one of the many things I miss from home. 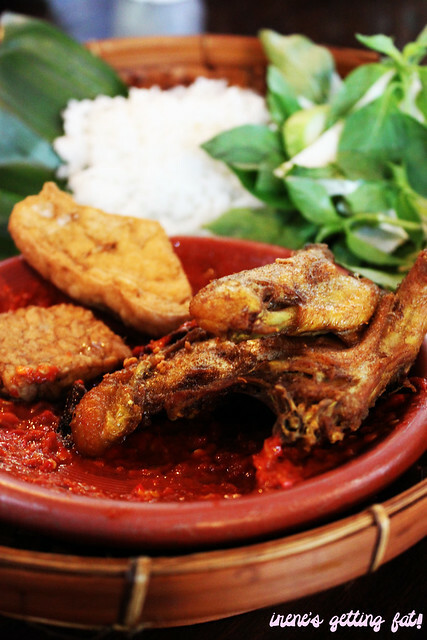 Especially because there's only a very few Indo restaurants in Sydney that serve good sambal as good as they do. Lovely fried short ribs (generous with the chilli too), price is reasonable, service is attentive, ambiance is really good and has clean environment.